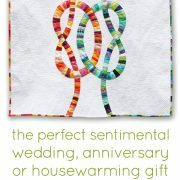 Perfect for wedding, anniversary or housewarming gift! 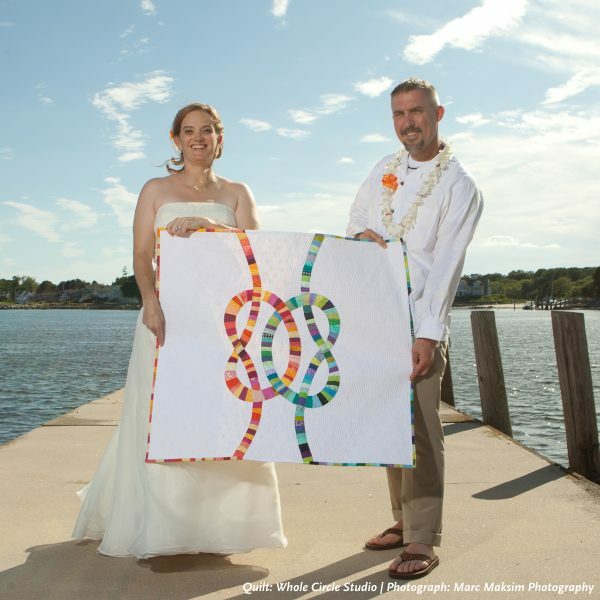 Give a one-of-a-kind, personal piece of art that they will treasure forever and pass down to future generations. The quilt has a durable sleeve sewn on the back making it ready to hang on a wall. Double Wedding Knots was originally created to commemorate the wedding union of two close friends. 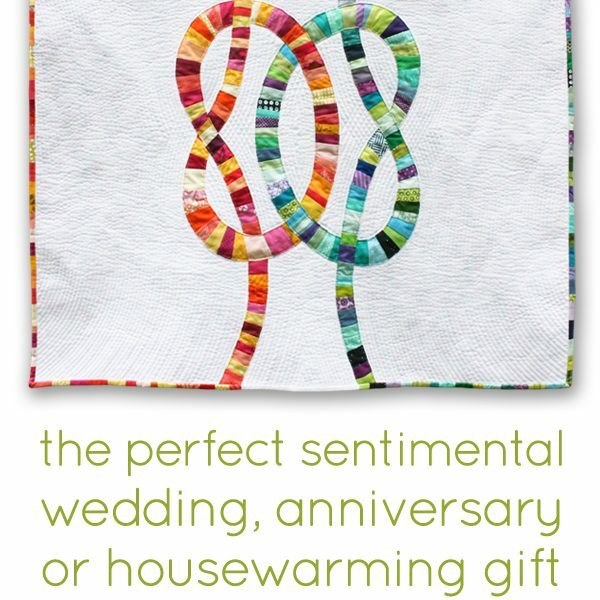 Not only does it celebrate a special day, but it is also a reminder of a life full of happiness and friendship. This modern, original design is a striking alternative to a traditional double wedding ring design. 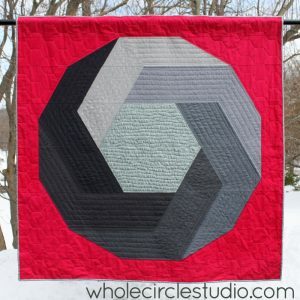 This quilt design was showcased at the QuiltCon 2018 juried exhibition. Want to customize this design? 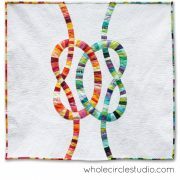 We can make you a double wedding knot quilt or pillow for you in any size and color palette. Contact us for more information. 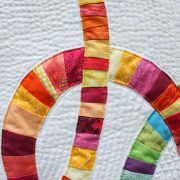 This wall hanging, measuring 36″ x 36″, was made using both machine piecing and hand sewn needle-turn applique then machine quilted. 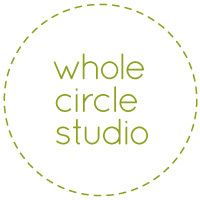 Made entirely by Sheri Cifaldi-Morrill of Whole Circle Studio. All materials are high quality 100% cotton (fabric, thread and batting). 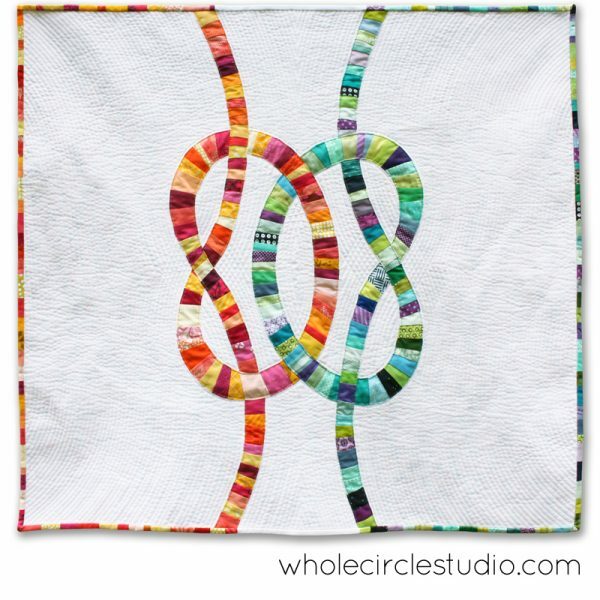 Want to make your own Double Wedding Knots quilt? Take a workshop me and learn how.